His horn ripped through my shorts and slammed into my hip. That is when I came back to reality. The bullfight had started out bad and now gotten to the point where it was both embarrassing and painful. He scooted me through the dirt with his forehead firmly planted into my waist. The only thing I knew to do was yell. Just prior to this my head had met the base of his horn and the blow had dazed me, but wasn’t enough to knock me out. I was just delusional enough to try one more pass at him. He didn’t bite on the fake, and his head hit my hip and pinned me to the ground. I didn’t have all my faculties, but was able to yell the words: “Get me out, Get me out!” I wasn’t but 20 yards from the fence and I knew help was there. It wasn’t my proudest moment, but as my drawers filled with dirt from being pushed by his head, I thought it might be my only chance for salvation. 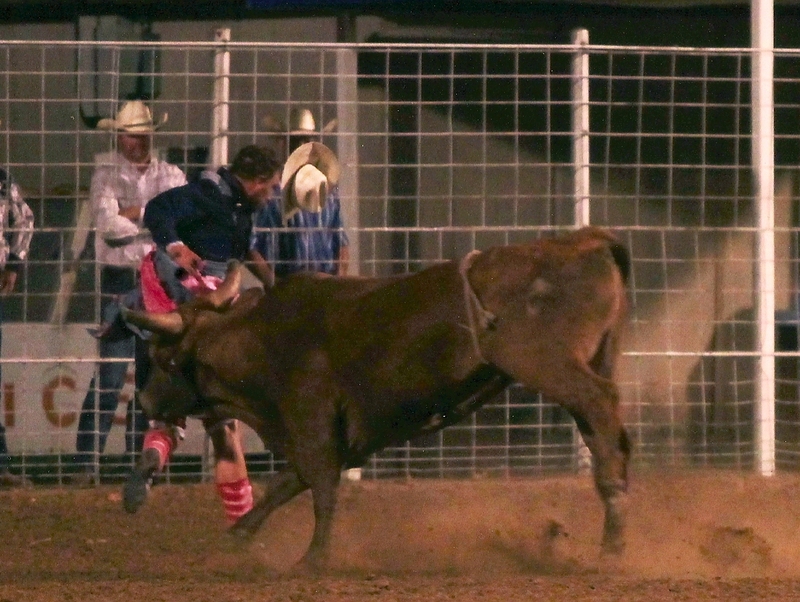 My call didn’t fall on deaf ears, as a couple of the guys jumped in and pulled the bull off of me. In the same way that my buddies were waiting with attentive ears for my (inevitable) call of trouble, the Lord’s ears are attentive to those in distress. The ears [hb. ‘ozen] of the Lord have heard from people in the darkest of places and in the worst of times. Israel during their wandering in the desert wailed [hb. baka] to Yahweh because the wanted bread to eat. They even wondered why they had left Egypt (Num. 11.18). The Lord heard with his ears all of this wailing. As Sennacharib, King of Assyria, surrounded Jerusalem, “caging” the people in their city like birds (Sennacherib’s Prism) and threatening them with his words and armies, Hezekiah begins a simple, desperate, and powerful prayer like this: “O Lord…give ear, O Lord, and hear; open your eyes, O Lord, and see; listen to the words Sennacherib has sent to insult the living God…” (2 Kings 19.15-19; Isa. 37.17) The most powerful army in the world has camped probably about 200,000 strong, just outside the walls of the city with conquest and capture on their mind, a despairing situation to say the least, for Hezekiah and his people. Israel’s struggles, as told and personified by Jeremiah in an acrostic poem, depict a nation at the end of its rope. Hunted like birds (Lam 3.52), weighed down with chains (3.7), and mangled by beasts (3.10-11), Israel is having a rough go of it and soon their land will be destroyed by the Babylonians, and their people deported and conquered. Jeremiah writes of their struggles: “I called on your name, O Lord, from the depths of the pit. You heard my plea: ‘Do not close your ears to my cry for relief.” In the deepest pits, the most dire straits, the darkest hours, Yahweh’s ears are listening for the cries of his people. David cried out for help [hb. sawa] during this distress and His cry fell upon the listening ears of the Lord. It wasn’t a foreign thought for David to be heard by the Lord. Psalm 5, 17, 28, 34, 71, and 116 reference the Lord hearing David. Every time the Lord’s ears hear words of desperation from David in the midst of a struggle. With words of rescue, mercy, and deliver, David implores the ears of Yahweh for intervention. The ears of the Lord are listening for the cries of His people. When have you cried out to Him? Maybe it has been recently. Cancer, bankruptcy, death, foreclosure, job loss, betrayal, abandonment, divorce….in the midst of our distress we have a God who hears us and our cries. When times of struggle arise, there is one who hears our calls. The one who saved David from attacks, Hezekiah from Sennacherib, and the Israelites from starvation, is the same Lord who listens to our calls of distress. Let us call out to His ever-listening ears. Terry Holland aboard Mr. T.
At Kemper arena in Kansas City, Terry Holland had his first real shot at the big time. He had drawn the bull Y-93, a great big red bull with large upturned horns. His usual trip was a few jumps out and around the right. The bull had a tendency to pull riders down into the well, inside the spin, which would usually bring the rider into contact with the horns of the bull. 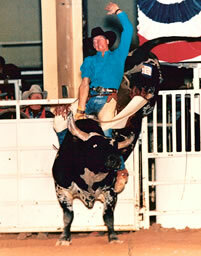 This was Terry’s first real big PRCA rodeo and he was looking to win it, but doing so would require him to master Y-93. I can’t help but wonder how many men in scripture viewed themselves as failures. Certainly Jeremiah, Elijah, David, Moses, and Peter come to mind. There are probably many more. Failure seemed to be a big part of these men’s lives. Failure not necessarily in their walk with God, although sometimes (think Bathsheba with David, and the campfire with Peter), but failure in the tasks given them on this earth. Jeremiah wasn’t that great of a preacher by worldly standards, no one listened. Elijah spent a lot of time hiding in a cave because people were chasing him. Moses, as far as leading a people, wasn’t very good a keeping them happy. But then again, none of these were the things that these men we asked to do, they were asked to be faithful to God in all that they did. While we were failures (failing to live up to God’s standard, called sin), He sent His son to die for us. Our failures are erased, scrubbed out, removed. Failure is not final in God’s eyes. Terry Holland is thankful for that. I am thankful for second, third, and fourth chances. Opportunities to give God the glory, chances to live for Him, and the gift of salvation. Failure is just part of the Journey. “Wisdom comes from good judgment, and a lot of that comes from bad judgment.” The cowboy proverb is never truer than when you get a bunch of college guys together. One night during spring semester boredom had set in. We headed out to Lucas’ house, built a bon fire, and ideas for entertainment began to swirl. Lucas had come to posses a bullfighting clown barrel. As with most things that come into his possession, zebu’s, musket’s, miniature horses, vehicles, it was known only to him how it became his. The rest of us just knew it was cool. 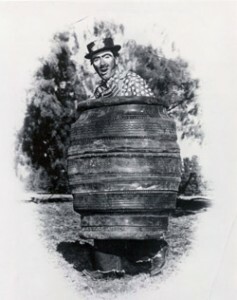 Late one night around the campfire, the clown barrel was brought up as a form of entertainment. We weren’t really sure what we were going to do with it, but it was steel, round and in close proximity to a hill. I can’t remember who it was that climbed in first, and I can’t really remember who suggested we roll down the hill, but it was probably Lucas on both accounts. As we hauled the barrel up the hill, there wasn’t a single ounce of pause in our brains that we were about to embark on one great night. Matt jumped in the barrel atop the hill. With a short countdown, the rest of us gave him a shove. As the moonlight reflected off the barrel careening down the hill, we were mesmerized at the pace in which it rolled. Then we noticed the moonlight reflecting off the creek at the bottom of the hill. The barrel was not a flotation device and as it splashed into the cool waters of the creek, we who were on top of the hill sprinted down to the bottom attempting to free Matt from the clown barrel as it came to rest on the bottom of the creek. He got out, no one died, it was a good night. Needless to say our judgment may have been poor that night. Dorm life is just as detrimental to good judgment. Taking a shot to the back with a water-ballon launcher form 15ft away, chair-jousts at 2 in the morning, office chair racing on asphalt, in a place of higher learning, wisdom can be scarce as jackalopes. Judgment is the ability to make a decision about something, good or bad, the capacity to take information and make a decision. Often times we think of God’s judgment as a negative thing, which it very well can be. But God’s judgment can be a favorable one as well. Scripture speaks of the eyes [‘ayin] of the Lord [Yahweh]. The eyes of the Lord is His judgment of man’s actions. The Lord looks at what we do, what we offer, what we live, and makes His judgement. The eyes of the Lord range throughout the earth (2 Chron. 16.9; Zech 4.10) searching, watching, and observing the attitudes and actions of humanity. They act on behalf of those committed [salem] to Him. This Hebrew word for committed, salem, is the word for completeness, wholeness, and lavish. A heart that is lacking nothing undevoted to God. Think about Noah, in Genesis 6, he found favor [chen…grace] in the eyes of the Lord because of his righteousness, blameless actions and his relationship with God (Gen. 6.8-9). It was King David (1 Kings 15.5) and great Kings of Judah, like Asa, Jehosophat, Joash, Uzziah, Jotham, Hezekiah and Josiah. Kings that led their people in truth and commitment to the Lord. They did good in the eyes of the Lord. The stood for truth, acted on their faith, and walked with the Lord. The were judged as having done good in His eyes. When God looks upon this earth, when His eyes wander over this planet, what does he see and what will his judgment be? When His sight falls upon us, will He see truth (Jer. 5.3), those who fear Him, hope in Him (Psalm 33.18), and those who are righteous (Ps. 34.15)? Men like David and Noah. Or does his eyes fall upon the wicked? Those that bow down to other gods, that place created things above the Creator, that take advantage of and exploit their neighbors? When it comes to us, are we serving the Lord faithfully? Are we honoring the Lord with our service, our work, our family, our worship, our life? When God looks upon our actions will he judge that it is good, or does He watch in horror as we are careening down the hill of sin with nothing to stop us? 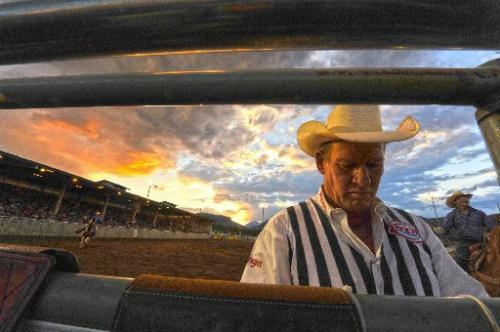 The men in stripped shirts in the arena, are some of the most important people at a rodeo. They are part rule enforcers, scoreboard, recorders, critics, and manual labor. They are the guys busting their backs setting up the arena, marking the patterns, assembling the barrier, and every other odd job that needs to be done for the perf to go on. 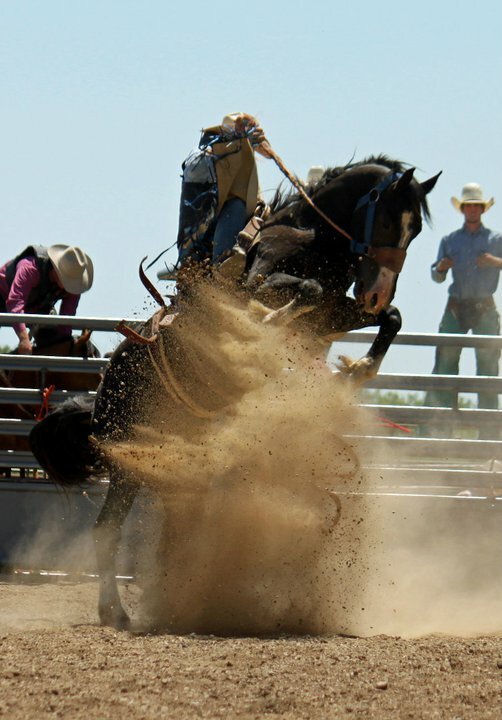 They know the rule book forward and backward in order to make sure that a breakaway rope is attached to the horn right, a goat was tied correctly, a bull riders rope was complete with knuckle-pad, a pole pattern went unbroken, or a mark-out completed. They keep the official score on their note pads that dangle over the fence. They award points on what they see on the rough stock end and stop the timer on the timed event end. When it comes down to it, they are the final say for everything that happens in the arena…and I couldn’t do their job. Cowboy race judges have the same problems. Line up 40 horses in a row, and I couldn’t find one conformation problem with any of them. 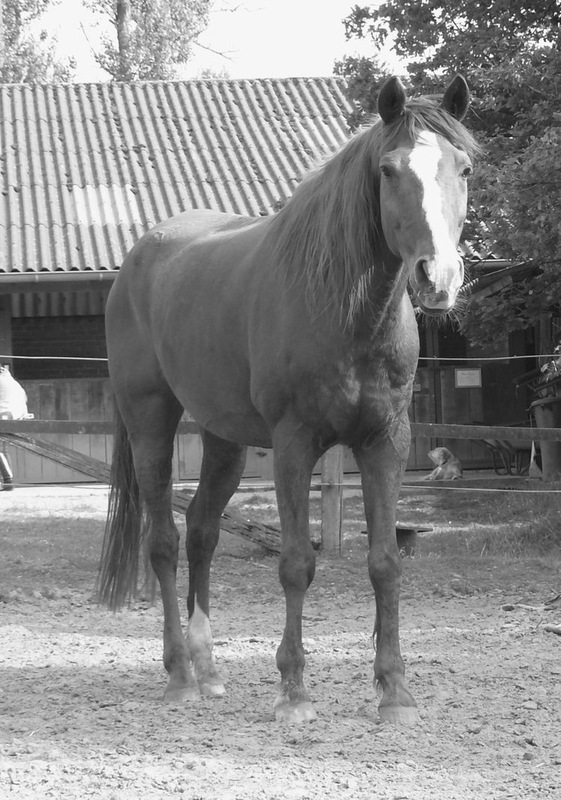 Have them lope off, spin, lead change or side pass, and I couldn’t pick out a single reason one is better than another. I am a sucker for color, so the first grey horse I saw would be the winner. This is the problem with judging, you have to know your stuff. I clearly don’t. But there is one area of life that I could compete with their job on every level and its described in 1 Corinthians 13. When it comes to love, I often choose the judge route. 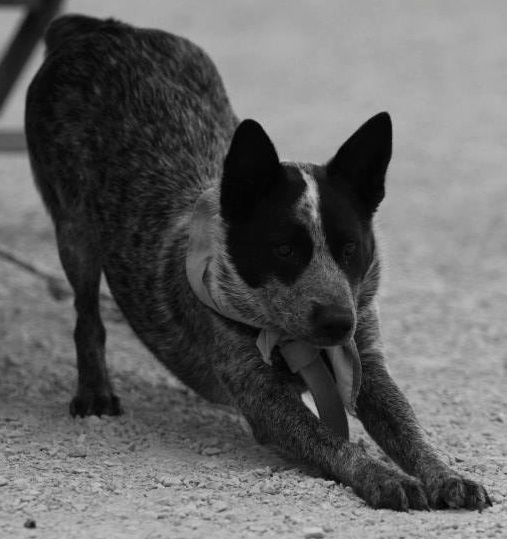 The judge’s job is to enforce rules, keep a tab of the inadequacies, and do everything in order to accomplish the task of running a rodeo or competition. When it comes down to it, my wife would probably say I do the same thing with my marriage. In a fight or argument, the first thing that comes to my mind often is a list of her transgressions…because I’m like a judge. Exemplified in keeping a record of wrongs. When we are getting ready to go somewhere or traveling, often times the time matters more to me than her well being….because I’m like a judge. Resulting in impatience, unkind words, and anger. In my quiet thoughts our relationship is often compared to others (financially, romantically, familiarly, etc.) and when this happens I often want what others have…because I’m like a judge. Exemplified in envy (I want what you have), boasting (I have what you want), and pride (You need what I have). If a choice is going to benefit one of us, my first inclination is to make it me…because I’m like a judge. When comparisons and lists creep into marriages, we begin playing the role of judge. When our tasks cover up love, we play the role of judge. When our marriages struggle most is when we put the stripped shirt on and start calling the shots. I want to be the protector, the one who leads in trust, the hopeful one, and the one who stands with perseverance for our relationship…this cant happen when I assume the role of the judge.